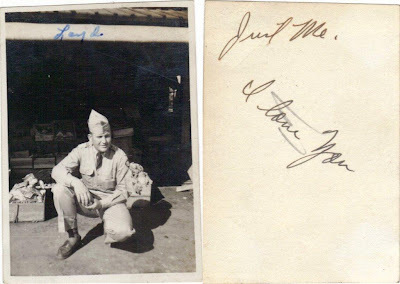 Sorry this is late on Veteran's Day, but my thoughts were thinking of the many all day....had to get some of these photos of dad from my brother. My dad served in Korea and was injured by shrapnel hitting his lower back. They thought sure he would be paralyzed, but he was one of the lucky ones. Only in the hospital on his back for a full year. That was before my brothers and I were born. 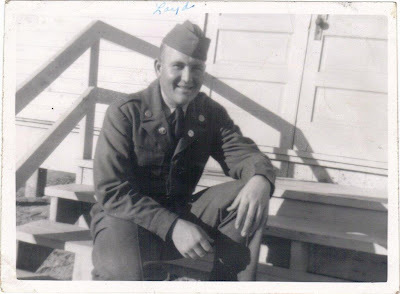 One of mom's three brothers, Willard, lost his life in Korea. Thank you to all that served, sacrificed, and those serving now. It is never too late to say thank you. Sweet memories and a lovely tribute. Luckily, I had no one in my family that served in any war. Isn't that strange? Still, I am very thankful for all the sacrifices they make for us. It is good you have a day there to remember all your heroes!